Grammy-winning R&B singer R. Kelly was charged in Chicago on Friday with the aggravated sexual assault of four people, including three teenage girls, following years of accusations against the performer. Kelly, 52, was charged in a ten-count Cook County Circuit Court indictment handed down two months after the debut of a six-hour documentary series on the Lifetime television network in which multiple women accused him of sexual misconduct and abuse. His criminal defense lawyers could not be reached for comment on Friday. His attorney Steven Greenberg, earlier in the evening, tweeted that Kelly would be turning himself in to Chicago police before midnight. 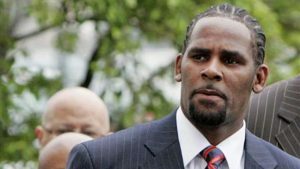 The post R. Kelly charged with sexually assaulting teenage girls appeared first on SABC News – Breaking news, special reports, world, business, sport coverage of all South African current events. Africa's news leader..